Eczema (atopic dermatitis) is a recurring, non-infectious, inflammatory skin condition affecting many Australians at some stage throughout their lives. The condition is most common in people with a family history of an atopic disorder, including asthma or hay fever. There are also many other skin conditions that can affect people including psoriasis, acne and rosacea. Lesions which may be infected by bacteria or viruses. Psoriasis produces thick, red plaques covered with silvery scales. Rosacea mainly affects skin on the face. It causes redness on the nose, chin, cheeks, and forehead. Dysbioisis (imbalance of good and bad bacteria in the gut) Antibiotics kill good bacteria. Allergens – house dust mites, moulds, grasses, plant pollens, foods, pets and clothing, soaps, shampoos and washing powders, cosmetics and toiletries. We stock some fantastic products in our shop that can help with symptoms. MooGoo makes a range of natural, safe products with effective active ingredients designed for people with skin and scalp problems. We also have a range of probiotics which help you in two ways. The first is with digestion. When the digestive tract is healthy(good and bad bacteria in balance), it filters out and eliminates things that can damage it, such as harmful bacteria, toxins, chemicals, and other waste products. On the flip side, it takes in the things that our body needs (nutrients from food and water) and absorbs and helps deliver them to the cells where they are needed. The other way that probiotics help is the impact that they have on our immune system. Some believe that this role is the most important. Our immune system is our protection against germs. When it doesn’t function properly, we can suffer from allergic reactions, autoimmune and infections. 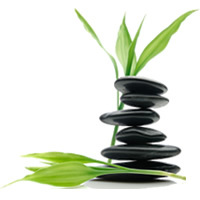 Your Naturopathic consultation is a thorough health review. A treatment plan is implemented which may vary from dietary adjustments, prescription herbs, supplements, a healthy diet and lifestyle education you can use for the rest of your life. The treatment plan may be adjusted as you gain a new level of health with each visit. The amount of treatment can vary from person to person. Depending on the severity of the condition, follow up appointments may be weekly, fortnightly or monthly. Sessions are held in a relaxed and comfortable setting where you will be treated with respect and compassion. You will spend time asking and answering questions regarding your symptoms and medical history. Some physical checks may be carried out in the clinic, such as taking blood pressure, tongue, iris and urine analysis. Secondly; it may be recommended that further laboratory tests are carried out on the function and pathology of your body. I.e. blood tests, allergy testing, stool examination, hair analysis etc. This is only recommended if deemed necessary to gain an overall picture of your health. Furthermore please bring any medical test results you may already have obtained from your GP to your Naturopathic consultation and any medicines and natural remedies that you’re currently taking.